As a blogger it is important to stay current, motivated and passionate, attending a conference is the perfect way to accomplish all of those. When bloggers come together great things happen, partnerships form, we share ideas and we help each other grow. 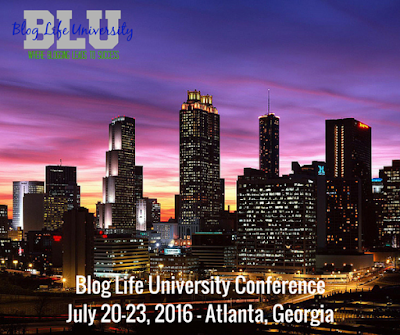 For a full and complete list of sessions be sure and visit Blog Life University. 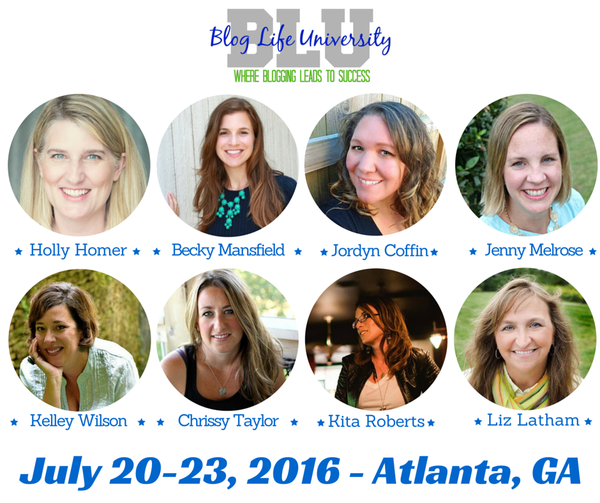 The Speakers that are bringing the sessions to Atlanta are some of the country's top bloggers. I'm delighted to announce that I was selected to be an ambassador to Blog Life University Conference. This is a conference not to be missed! I'd love to have you join us! As an ambassador, I can offer a discount of $100 off your registration. All you need to do is follow this link and use the code BLU16...can't wait to see you there!